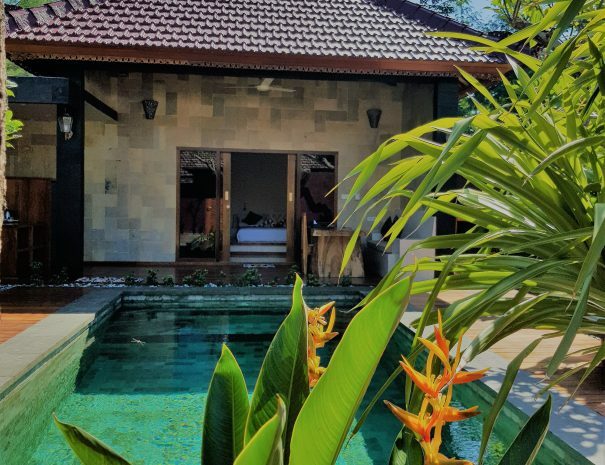 Each of our One-Bedroom Villas is a place where you can leave the crowds behind and recharge your batteries in your own private refuge. Spend the day lounging next to your private pool, soaking in the sun or gazing at the stars from your terrace. 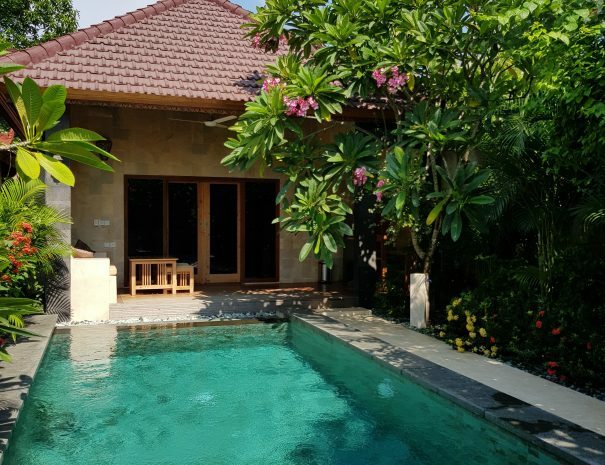 Each villas has it own freshwater pool. Each villa has it own tropical garden. The garden is surrounded by a wall with entrance from our common area. Each villa is equipped with a safety box. 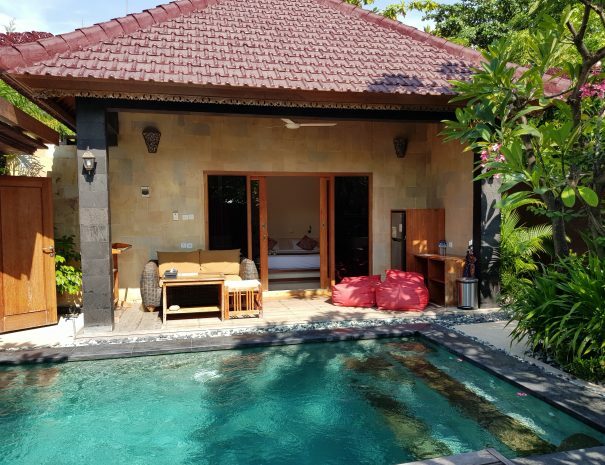 All our villas can accommodate up to two people. 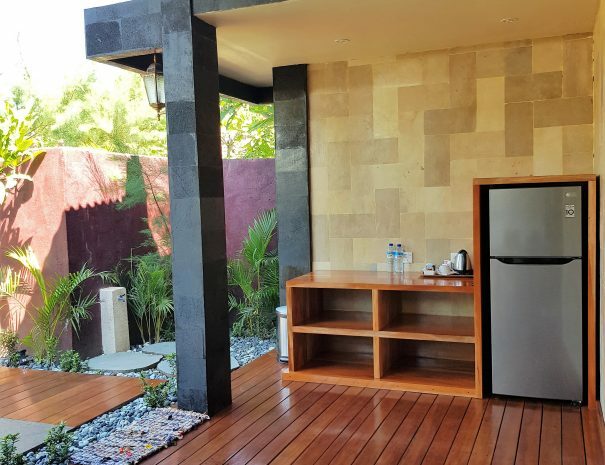 Each villa has a fridge with cold drinks and snacks at fair prices. 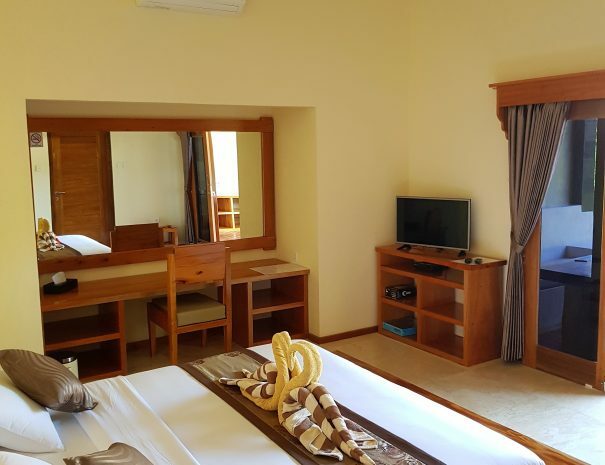 Each villa has a flat-screen TV with satellite channels. Super friendly and helpfull staff, private pool was such incredible. Very comfortable bed and bathroom. Very clean villa. We felt like at home and very welcome. We came back and extended our stay here. The best stay ever.